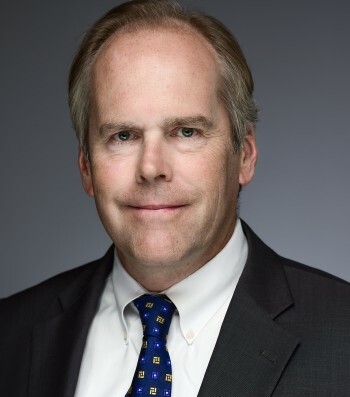 Professional Experience: Laird Hetlage is a respected litigator with extensive experience trying complex commercial and real estate disputes, Hetlage has represented clients in a plethora of cases, including construction, financing, title and boundary disputes. Hetlage has represented clients in high stakes disputes, involving corporate mergers, product liability, residual payments, and commission agreements. He obtained a mid-six figure judgment for embezzled funds on behalf of a major international corporation. He prevailed in a suit to set aside a referendum election regarding tax increment financing. Hetlage won a settlement for a man paralyzed by a dock-leveler. Laird counsels a county Developmental Disabilities Resource Board, and several successful businesses. Hetlage is well-versed in probate, non-compete and franchise litigation. He has perfected a number of appeals. He applies his knowledge and experience to drafting and negotiating transactions having negotiated many leases, financing and security documents, confidentiality and non-compete agreements, and asset purchase agreements, as well as drafting estate planning documents. He is a trained mediator, on the list of approved mediators in the U.S. District Court, Eastern District of Missouri and the St. Louis County Circuit Court. He has served as amunicipal judge for more than 20 years and was President of the St. Louis County Bar. Practice Areas: Commercial Litigation; Real Estate Transactions and Litigation; Civil Litigation; Corporate; Probate; Unfair Competition; Non-Compete Agreements; Mediation. Admissions: 1987, Missouri; 1988, Illinois; U.S. District Court, Eastern District of Missouri; U.S. Court of Appeals, Eighth Circuit. Law School: Washington University, J.D., 1987. College: St. Lawrence University, B.A., 1984. Member: St. Louis County Bar Association (Member, Executive Committee, 1994-2001; President, 2000); The Missouri Bar; Missouri Municipal and Associate Circuit Judges Association. Municipal Judge: City of Sunset Hills, 1995-present; City of Ballwin, 2005-2007. Residential Sales Contracts and Mechanics Liens, Bar Association of Metropolitan St. Louis.